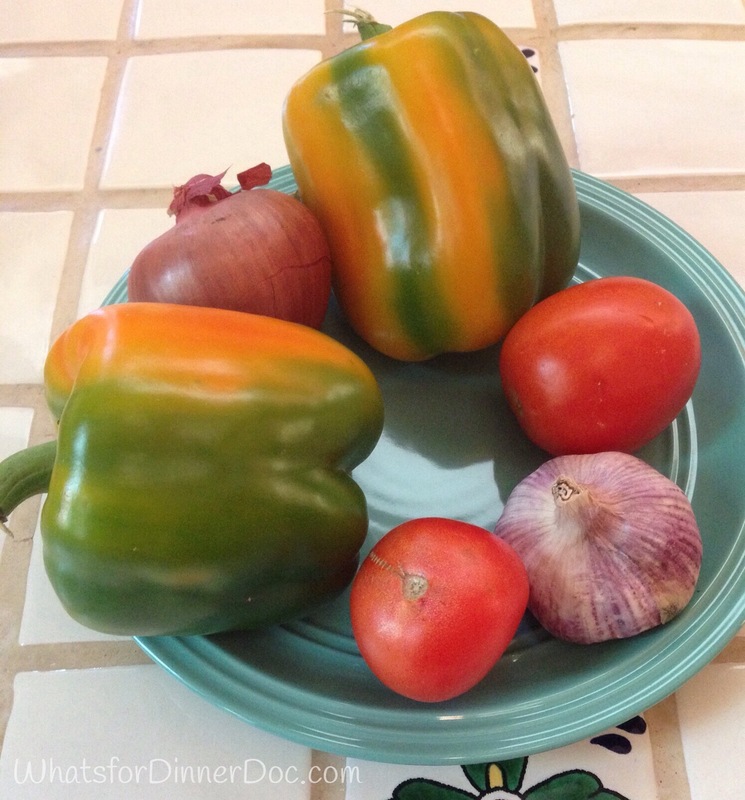 Baja Stuffed Peppers – What's for dinner, Doc? Smells, colors, freshness, memories, blog posts, magazine photos? I’m inspired by all of these things and my weekly menu is designed around the freshest ingredients that I can find. This is a weeks worth of produce which costs me between $8-12 US depending on how much fruit I buy. Fruit is relatively expensive here because most of it has to travel farther than local vegetables. Mexico does grow a large amount of citrus, melons and tropical fruits which are available year round but I often splurge on American apples and pears which are expensive by Mexican standards. Apples can cost $1.50 each. Gasp. A huge cabbage costs about $.50 in comparison. 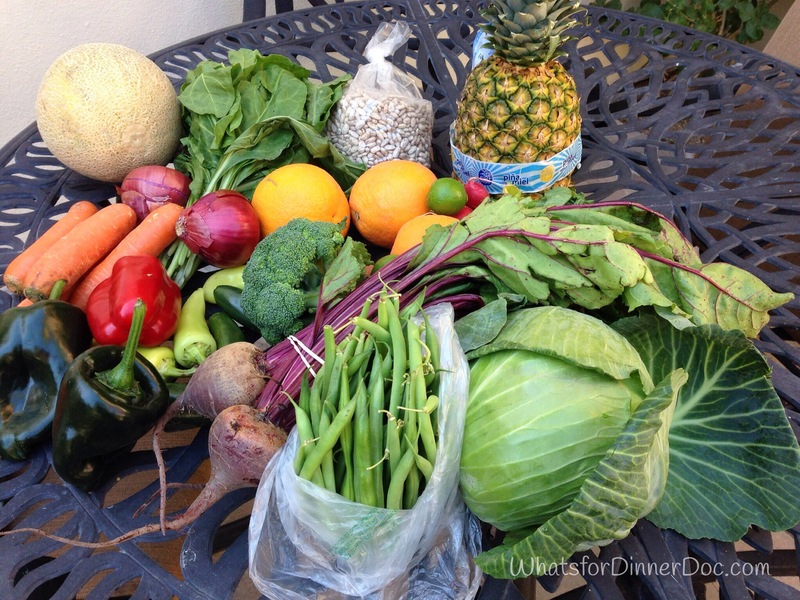 I buy produce at our outdoor market every Sunday and meat in town from a local grocery store or from the butcher. I confess that buying the meats on display on tables at the open air market makes my “food safety” radar go on high alert. I do realize that our local restaurants buy meat there, I’ve seen my favorite chef actually choosing meats, but I haven’t been able to get past the flys and feral dogs hovering about. I’m failing at complete Mexican cooking immersion but I’m sure there will be a blog post on the day that I give in. 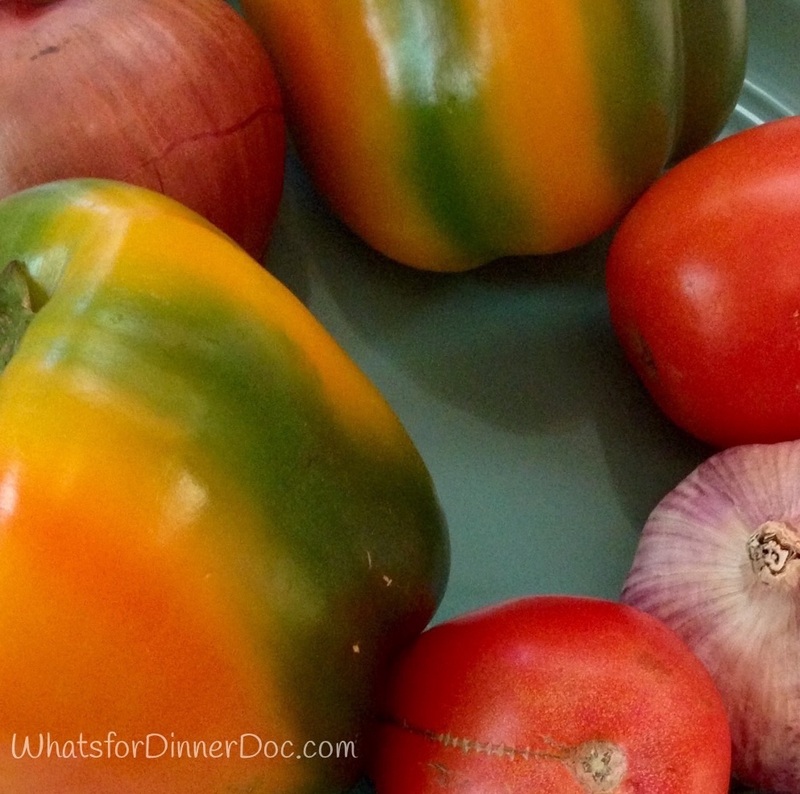 This stuffed pepper recipe was inspired by these beautiful striped bell peppers. I choose the vegetables, add my aromatics, pick a cuisine or a combination of cuisines, add a protein source and start to design the dish. 1 pound ground beef, chicken, turkey or pork. Vegans substitute legumes, tofu, nuts. 2 cup chopped vegetables, I used carrots, tomatoes, and zucchini. 1/2 cup chopped fresh herbs. I used flat leaf parsley, lovage and oregano. Cilantro or basil would be great too. Sauté onion and garlic in olive oil. Add lean protein and brown. Add remaining herbs, vegetables and seasonings. Simmer until vegetables are soft but still hold their shape. 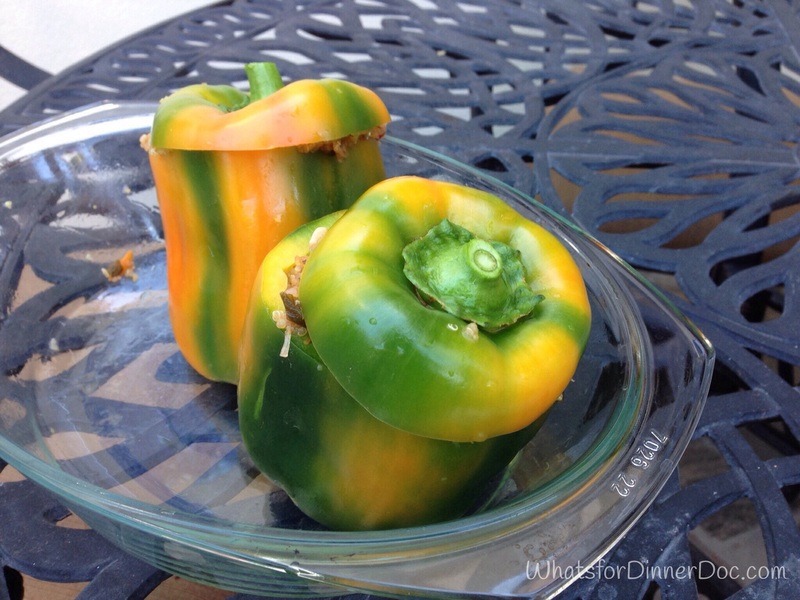 Slice off the top of each pepper and remove seeds. Stuff peppers with meat mixture and replace the tops. 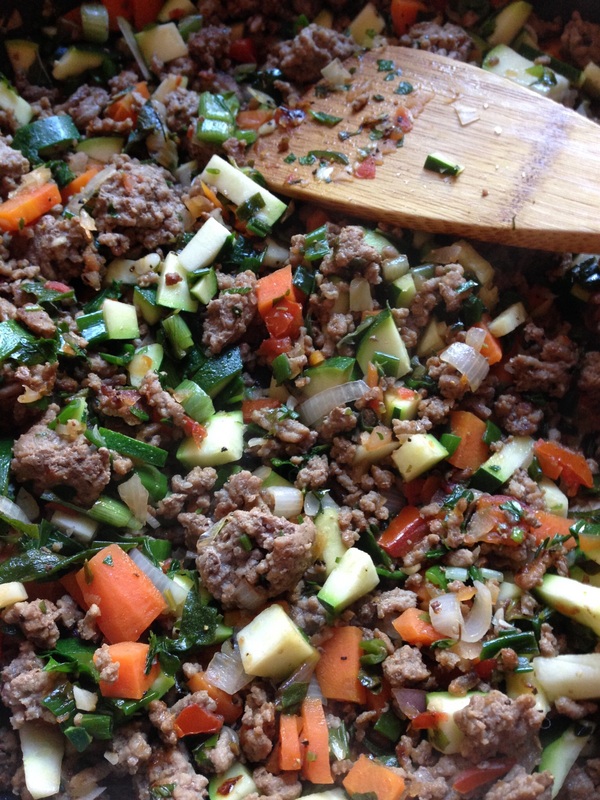 I use any remaking meat mixture to pack around the peppers in a casserole dish to hold them upright. Bake for 40 minutes at 375 degrees until peppers are soft. Serve with salsa, sour cream, more veggies (sautéed beet greens) and fruit. 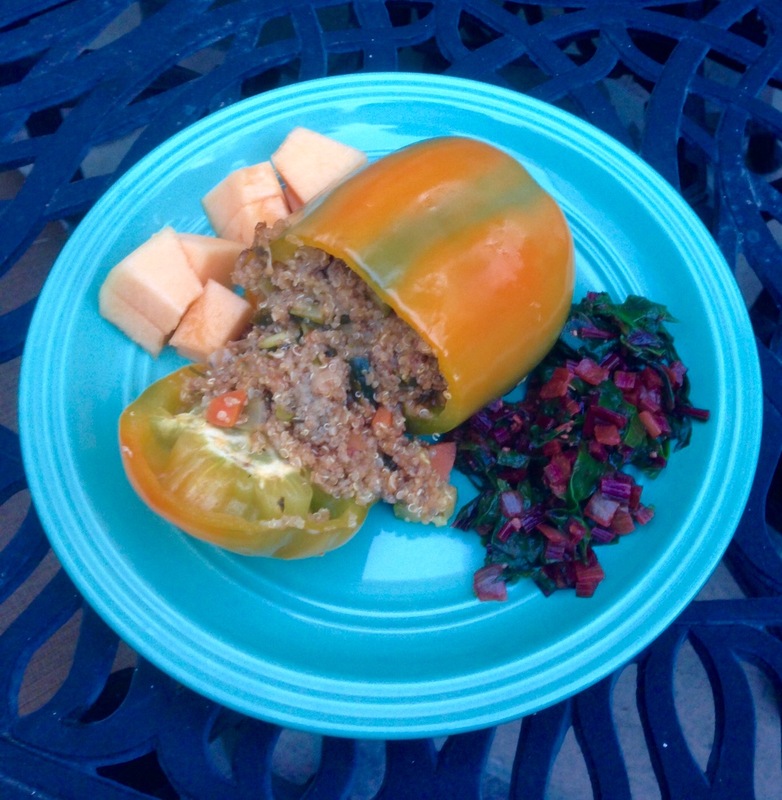 I love stuffed peppers! Great recipe, definitely a must try! You can fill them with almost any combination of grains and protein. They are so versatile. Thank you for stopping by. Pingback: BrightLine Eating and Perfectionism – What's for dinner, Doc?